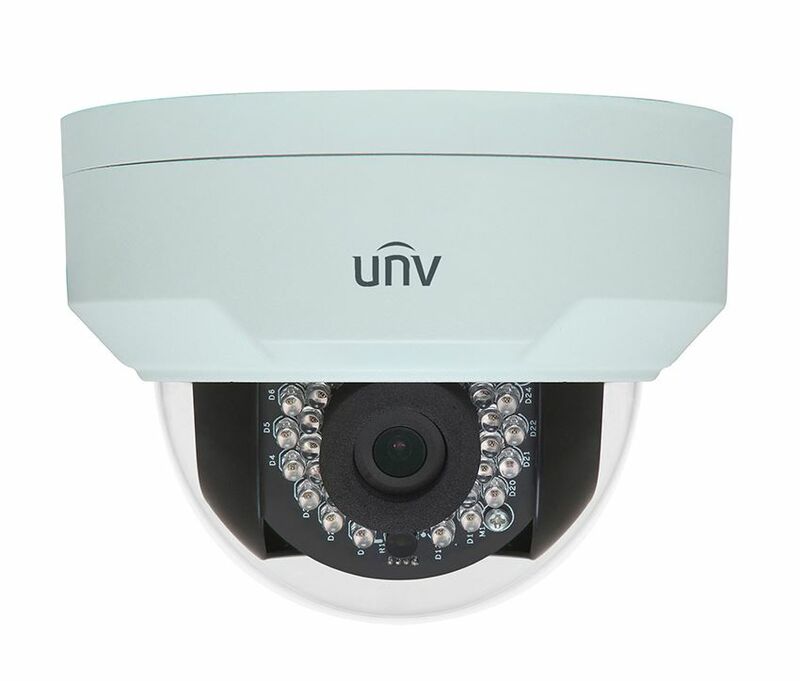 The ISX-SD4-FX network infrared dome with 98 feet of Smart IR illumination provides 4MP resolution and choice of extra wide angle 2.8mm lens or standard wide angle 3.6mm lens. The housing is rated IP66 weatherproof and IK10 vandal resistant for outdoor or indoor use any suitable for most any application. The camera has a built-in IR cut filter and true 120dB wide dynamic range which is great for locations that have both bright and dark areas. A Micro SD card slot is also provided for up to 128 GB of on board video storage. Can be power by PoE (Power over Ethernet) or 12VDC power supply. The camera has an OSD menu for a variety of image adjustments, WDR, alarm record settings, network frame rates and bit rates just to name a few.